Freddie Hammond is a young man on a mission to make a name in the agri-food business. Danusia Osiowy finds out more about why he hopes birds and beer is only just the beginning. You only need to spend a short time with Freddie Hammond to realise why the future generation of agriculture is one of promise. Passionate, articulate and determined, the 24-year-old Harper Adams graduate has been building the foundations of a new business to enter the agri-food chain over the last year and, as of two weeks ago, is officially up and running. Brewer’s Goose may be starting from small beginnings, but it has are big ambitions – and one of its most significant moments is in full swing at Manor Farm. Freddie’s journey will see him become a producer of free-range geese, which will be reared on his uncle’s farm in Beeby, Leicestershire, ahead of Christmas trade later this year. After being collected by Freddie from Gulliver’s Geese in Thetford, Norfolk, 100 goslings have now been transferred into a into a purpose-built area within a redundant farm building. At not even 24 hours old, all eyes are on them making sure they find their feed and water and are under no stress. And Freddie is taking no chances. “The next 24 hours are critical,” he says, sitting in the pen. “They hatched yesterday, so maintaining the right temperature is key. “On a gorgeous day like today that’s not going to be a problem. If anything, it’s about keeping the temperature down. “I have done a few trial runs over the last few nights and when it gets to 2-3am in the morning the ambient air temperature drops. It’s rare to visit a business so very early on in their journey, but Freddie is resolute this is no flash in the pan. “For me, geese is just the start. Year one and two – let’s build the brand and build what we are all about,” he adds. Core to the story and brand is building solid working relationships, and Freddie has teamed up with Paul Halsley, co-founder of Purity Brewery, to take their bi-product for use as feed as the goslings mature. Throughout the summer, the geese will graze across the field before being supplemented with fresh brewers’ grains in the late summer and autumn months. “The idea to work with Purity was inspired by my grandad Robert, who used to collect weekly trailer loads of fresh brewers’ grains from the local brewery to feed his dairy herd in the late-1990s,” Freddie says. “Relationships are key. I wanted to have a really good story behind my product and the food and drink industry are made to go with each other. The guys at Gulliver’s Geese have been brilliant and they have helped every time I’ve called. Freddie will drive down once a week to the brewery in Warwickshire and return to the farm with the malted barley to include in the feed ration. “It’s a great feed to have in the mix. It’s a wet product which I can put on a palette in a builder’s bag and put in the back of my van,” he says. “If we can keep it cool it should last a week or so, and it will provide a diet rich in protein and fibre and allow the geese to fatten quickly and efficiently in the run-up to Christmas. He credits his time at Harper Adams, where he also spent a year working as the president of the Students’ Union, as the catalyst in realising what and where he wanted to be in the future. “I loved my time at Harper and I learned so much, not just about the academic side but more about creating a vision of where you want to end up,” he says. Freddie is engaging consumers from day one, right through to the end, whether that be through working relationships, attending food festivals and events, or via social media. But the question is, why choose geese? “That’s a really interesting question. I’m one for British traditions and a goose is all about the Dickens’ Christmas. It’s the real traditional meal,” he says. “Turkey is an American thing that came over 60/70 years ago, so I wanted to bring that old tradition together with a fresh take and create a real story to it. The have-a-go attitude arguably underpins another important component to the business, which is aimed at helping other young graduates realise their ambitions. 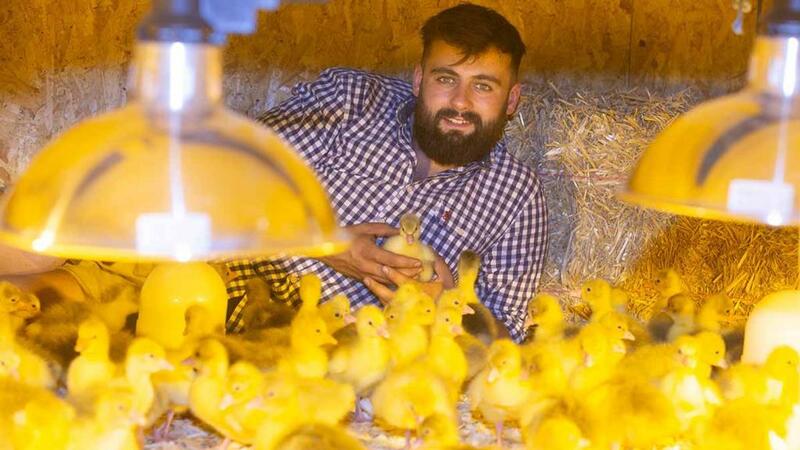 The Brewer’s Goose Scholarship will see £10 from every bird sold in the first year awarded to a Harper Adams graduate who wants start their own agri-food business. “I’ve been given an opportunity to establish something on my uncle’s farm, which I am very thankful for and I have had others who have helped me set this up which I’m really, really grateful for,” he adds. But for now Freddie’s attention is focused on the birds and ensuring they all maintain good health. “I’ll be recording temperatures on the hour, so I can reference what we did and when and what we can do to improve,” Freddie says. The aim is to keep the goslings inside and wean them onto a grower ration before they are released outside to roam outside on grass. 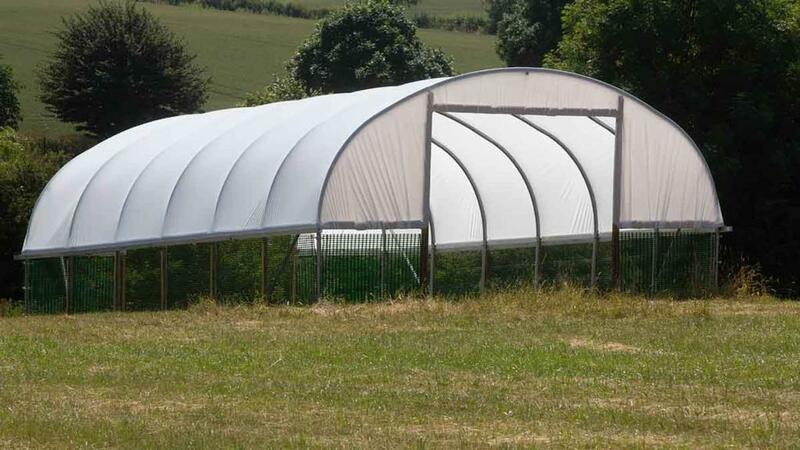 Four-foot electrical fencing has been erected along with a polytunnel to house the birds overnight and protect them from the foxes. “There are no promises it will succeed, but it’s all about having a go and identifying the holes in the market,” says Freddie. While the have a go attitude is palpable, so is the reality of venturing into the unknown as a beginner. “I know I am fresh in to it, but I just want to learn,” he adds. “You are never going to learn unless you make your own mistakes. “This is the start of what I want to do forever and you don’t get anywhere without a bit of hardship.